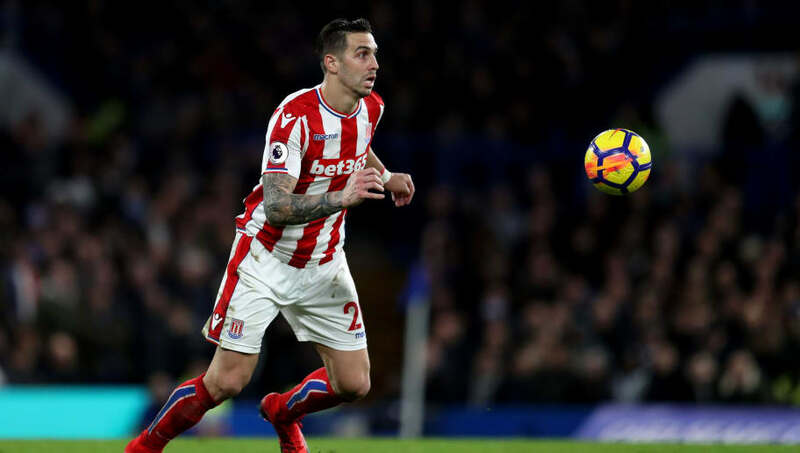 Geoff Cameron has joined ​QPR on a season-long loan from Stoke City. The versatile American, who can play in either defence or midfield, will go straight into Steve McLaren's squad for this weekend's visit to ​Birmingham City. Cameron, who has made over 180 appearances for Stoke since joining the Potters from Houston Dynamo in 2012, says that he is excited to get started at Loftus Road. ​"I’m extremely excited and happy to be here. It’s a fresh start and new beginning for me," he told ​QPR's website. "I decided over the summer that I wanted a change and something new. The boss here has been interested in me before and I’m excited to play for him. "He wanted me here which is always a big part when they believe in your ability. I want to help the team and get us up the table. "I’m the guy that does the dirty work. I’m not the flashiest of players, I try to read the game and get the ball to the guys that can score the goals!"  @GeoffCameron has today joined @QPR on loan for the rest of the season. McLaren said that he was delighted to sign a player capable of playing in multiple positions. "We were keen to bolster our squad so I am delighted to bring in a player who can play in any one of three positions – right back, centre back or central midfield," said the former England manager. "But it’s not just about his versatility – Geoff has fantastic experience and has spent the last few years playing regularly in the ​Premier League." Cameron has won 55 caps for the United States national team since his debut in 2010.